How to harness unexpected traffic? Home » Blogging » How to harness unexpected traffic? Back in the days, when one of my blogs had a traffic spike coming from something unexpected, I’d just be ecstatic about it, and think no further. But that was back in the days. Since then, I have learned about SEO and I’ve been trying to apply that new-found knowledge to my blogs. I’m no SEO expert and would never pretend otherwise. It’s just that nowadays I usually know what I’m doing in terms of trying to generate traffic on a blog. At least I hope I do. For example, concerning my blogs about Japan, whether it is ogijima.fr or setouchiexplorer.com, I know I will never rank for the big keywords, and I’m not even trying to. These blogs are niche blogs, not many people care about Kagawa and the Seto Inland Sea, and I know that I will never draw huge crowds (however, I still hope to rank well for Takamatsu and Naoshima one day, those two keywords could bring me consequent traffic). While they remain small blogs, my strategy (trying to rank well on as many long tail keywords as possible) seems to be working. Traffic has been increasing slowly bu steadily for the past few months. My www.davidplusworld.com blog on the other hand, I’m still trying to figure out what the best strategy is, although right now I think simply posting more and doing more link building are the best things I could do. However, once in a while I have unexpected sources of traffic, but I’m still not sure how to use them to really improve the numbers of my readership. This is what this post is about basically. Let’s see two real examples that happened recently. The World’s Most Expensive Bonsai! Last Fall, I posted a picture of a bonsai that sold for pretty much $1 million in Takamatsu during the Asia Pacific Bonsai Convention that was being held there. I titled it “The Most Expensive Bonsai in the World?” and I moved on soon after, i.e. I didn’t do any for that special post, it was just one among many posts on my blog that consists in a single picture and two or three lines of text is not less. Except that for some reason, it now ranks number one on google for the title keyword! My Japan blogs don’t even always rank number one for the keyword “ogijima”. So, I get a couple of dozens of visits a day on that post, as it’s constant traffic, those numbers add up and the post is now one of the most popular posts on the blog. The only problem is that I’m not sure how to make those visitors stick and come back for more. I assume that most of them are into bonsai and I pretty much never talk about bonsai on my blog. In other words, I’m not too sure that I can turn those unexpected visitors into regular readers. I just hope that some of them are interested in more things about Japan than just Bonsai. I believe that there is a better and more proactive solution than just hoping. I haven’t found it yet. As you may know I also have a blog about Survivor. Yes, the reality tv show on CBS. That Survivor. The traffic for this blog is pretty interesting as it unsurprisingly follows the broadcasting of the show. In other terms, when there is no new episode on TV, the traffic is very sluggish, rarely more than 10 people in the day (I don’t expect more either on these days) and on days that follow a new episode, traffic goes above 100 easily. Not a huge number, but a quite consequent one considering that I don’t do any link building for this blog. I just get some help from some influential Survivor bloggers who happen to read my blog and mention it in theirs. 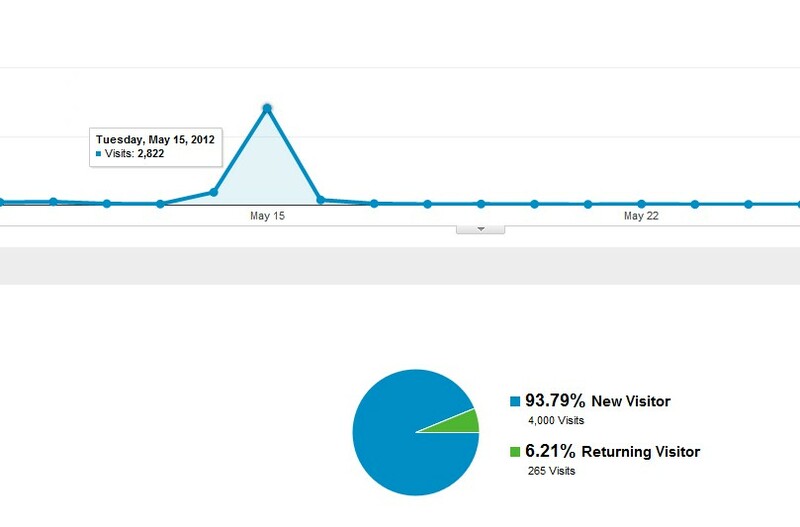 However, on the day after this season’s finale the traffic spiked to almost 3000 visits! I couldn’t believe it. Looking at analytics, the mystery didn’t stay a mystery very long. It just so happened that the picture on my blog of this season’s winner, Kim Spradlin, was number one on Yahoo! While the blog’s numbers of followers on Twitter and Google+ slightly increased that day, I can’t really tell if I have gained some new regular readers, especially because as the season has ended and there won’t be any new episode until September, there won’t be many new posts either. However, I always post once or twice during the summer to make sure the blog doesn’t stay too dormant too long. We’ll see then. However, the main issue here is that I always overlook traffic from other search engines than Google. And maybe that’s not a good thing. While the huge majority of search traffic comes from Google, some also come from Yahoo and Bing (and other search engines), and I was thinking that ranking number on those minor search engines may not be as hard as it can be with Google (less competition) and it still could generate an important amount of traffic, especially for small blogs like mine. I see two potential problems here though. The first one is pretty practical. I simply don’t have time to learn how to rank on several search engines. The second one: Could changing and formatting things on my blogs to rank better on those search engines hurt my rankings on Google, as algorithm and such are different? To all of those questions I don’t have any answer. I just wanted to share them with you, why not to generate an interesting discussion. Although, that’s assuming I have regular readers on this blog who are interested in SEO, which is less than certain. Those were just two examples, but maybe you have more unexpected traffic examples, and maybe you even know how to harness this traffic to convert it into regular readers. Don’t hesitate to share your thoughts and experiences in the comment section.